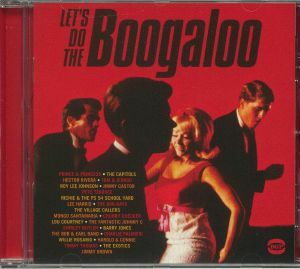 VARIOUS Let s Do The Boogaloo vinyl at Juno Records. 1. Prince & Princess - "Ready, Steady, Go"
2. The Capitols - "We Got A Thing That's In A Groove"
3. Hector Rivera - "Playing It Cool"
5. Roy Lee Johnson & His Band - "Boogaloo #3"
6. Jimmy Castor - "Block Party"
7. Pete Terrace - "I'm Gonna Make It"
8. Richie & The PS 54 School Yard - "What I Feel"
9. Lee Harris - "Skate Boogaloo & Karate Too"
10. The Bar-Kays - "Bar-Kays Boogaloo"
11. The Village Callers - "Hector"
12. Mongo Santamaria - "Mongo's Boogaloo"
13. Chubby Checker - "Hey You! Little Boo-Ga-Loo"
14. Lou Courtney - "Me & You (Doin' The Boogaloo)"
15. 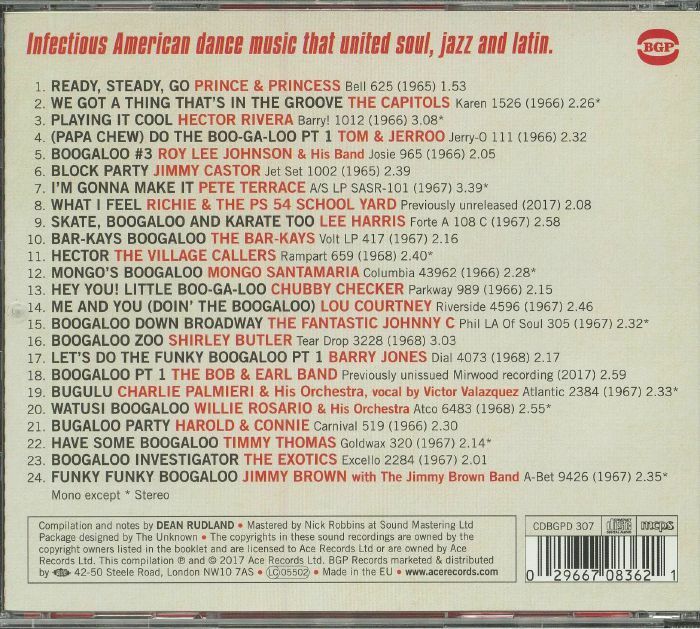 The Fantastic Johnny C - "Boogaloo Down Broadway"
16. Shirley Butler - "Boogaloo Zoo"
20. Willie Rosario & His Orchestra - "Watusi Boogaloo"
21. Harold & Connie - "Bugaloo Party"
22. Timmy Thomas - "Have Some Boogaloo"
23. The Exotics - "Boogaloo Investigator"
24. Jimmy Brown & The Jimmy Brown Band - "Funky Funky Boogaloo"